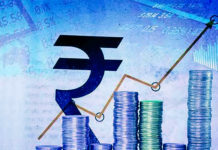 Easing transition of urban co-operative banks (UCB) into traditional banking, the Reserve Bank of India (RBI) has decided to allow urban co-operative banks (UCB) to become small finance banks (SFB). “It has been decided to allow a voluntary transition of UCBs meeting the prescribed criteria into SFBs,” the RBI said in its monetary policy statement released yesterday. The move holds significance as the decision to allow the transition has been made on the basis of a report submitted by the high-powered committee on urban cooperative banks led by the then RBI deputy governor R S Gandhi. The committee, that submitted its report in July 2015, had then felt that a business size of Rs 20,000 crore could be considered the threshold limit, beyond which UCBs may voluntarily convert themselves into commercial banks. “Though UCBs were set up as small banks offering banking services to people of small means belonging to the lower and middle classes, a well laid out transition path is required for at least the larger UCBs to convert themselves into universal/ niche commercial banks due to the changing financial landscape in the country and providing further growth opportunity to well managed UCBs,” noted the committee report, emphasising further that, during such a transition, the aspirations of large UCBs should also be kept in check.